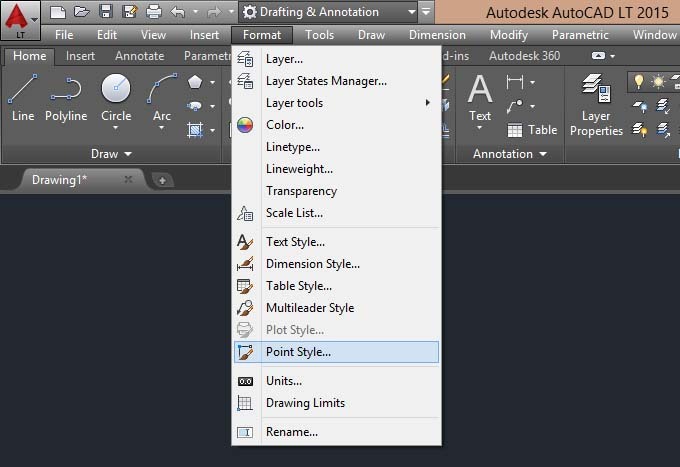 With the "point" tool , you draw points, or centers, which will look different depending on the setting established on the "format" menu in the "Point style...". Within this we will choose the look that will have all of the dots in the drawing in which we are working. (Attention to those less visible and the second in particular that making the points not visible even if present). We can also choose the size of the symbols drawn as points, in absolute units or relative to zoom; this second option means that if we turn away with the zoom and then it “regenerates” the design, point symbols will return to the size set. 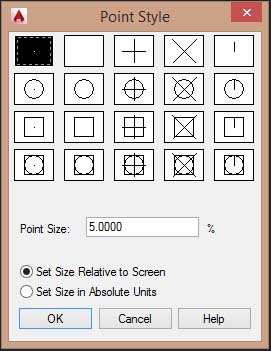 To draw points, activate the command and click on one or more points on the screen. To exit the command in this case you must press the Esc key on your keyboard.